With a landscape dotted with weird and wonderful rock formations, studded with crystal-clear waterfalls and natural swimming pools, filled with fantastic wildlife, and riddled with caves and tunnels, it really is a magical place. Within easy reach of the carnival city of Salvador, it's one of Brazil's best trekking destinations, and fantastic for lots of other adventure sports besides. It's fair to say that Brazil hasn't always been known for its trekking, and although we think it's under-rated, for many people Brazil is much more about beaches, cities and wildlife. 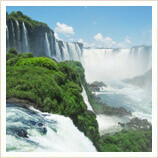 However, we guarantee you that the Chapada Diamantina will change that kind of thinking. There is a huge selection of trekking available here, from day treks to full-on expeditions, and all give you the chance to enjoy this beautiful landscape and its incredible variety. And as well as opportunities for trekking, you can also enjoy lots of other adventure activities such as mountain-biking, climbing, caving, and even diving in some of the Chapada Diamantina's larger lakes. Whatever you're interested in doing, we're pretty sure we can accommodate it, so just let us know what you'd like to do and we can work it into your holiday. You'll never be cold on a holiday to the Chapada Diamantina, with even winter temperatures staying in the mid-twenties. 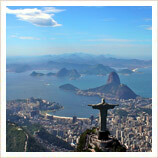 In the Brazilian summer, temperatures creep up above 30°C but rainfall is also much higher at this time of year. This means that if you're planning a trek in the Chapada Diamantina we'd recommend opting for the dry season between May and October, when trekking will be much less damp! 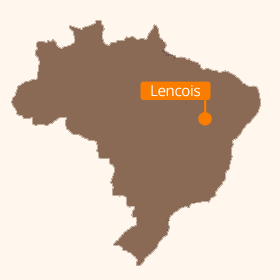 The gateway to the Chapada Diamantina is the small town of Lencois. This little colonial town with its cobbled streets and main square is a great base for treks into the area, or for just sitting back and enjoying a few Brazilian beers after your trek is finished. There is currently only one scheduled flight a day to Lencois from Salvador, so on other days you'll need to get a private transfer from Salvador, or one of the regular coaches (although many of these require a change in Feira da Santana) along the not-fantastically-paved road instead. It's about a 6 hour journey but there's some nice scenery to enjoy along the way.